For the second year in a row at the Dayton Hamvention, fellow volunteers and I will be representing the charity Ears To Our World (ETOW). We will be in booth 601 in the East Hall. Stop by and introduce yourself! 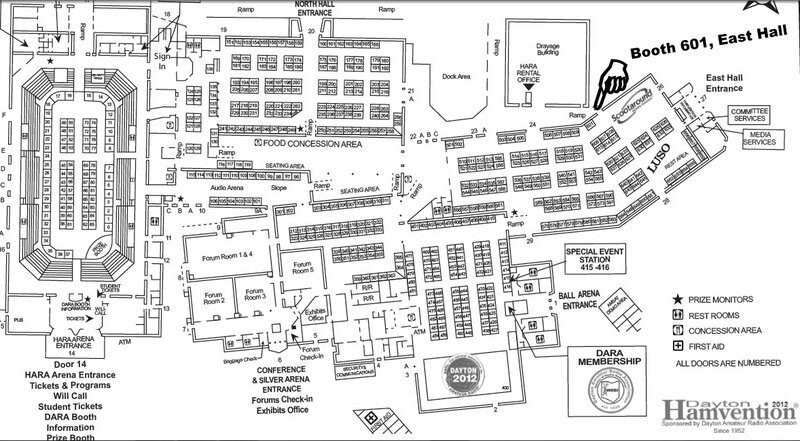 Here’s a map of how to find us. If you’re not familiar with Ears To Our World and our mission to empower children and teachers in the third word through radio, check out our website and this article from the Wall Street Journal. This entry was posted in Announcements and tagged Dayton, Dayton 2012, Dayton Hamvention. Bookmark the permalink.